Solaris' built-in IQ Visionary™ projector displays both the design and controls directly on the fabric. Position embroidery designs and decorative stitches with just a touch of the wireless stylus. Resize, move or make other adjustments–all while seeing it happen in real time before you sew it out. Perfect placement is achieved every time. 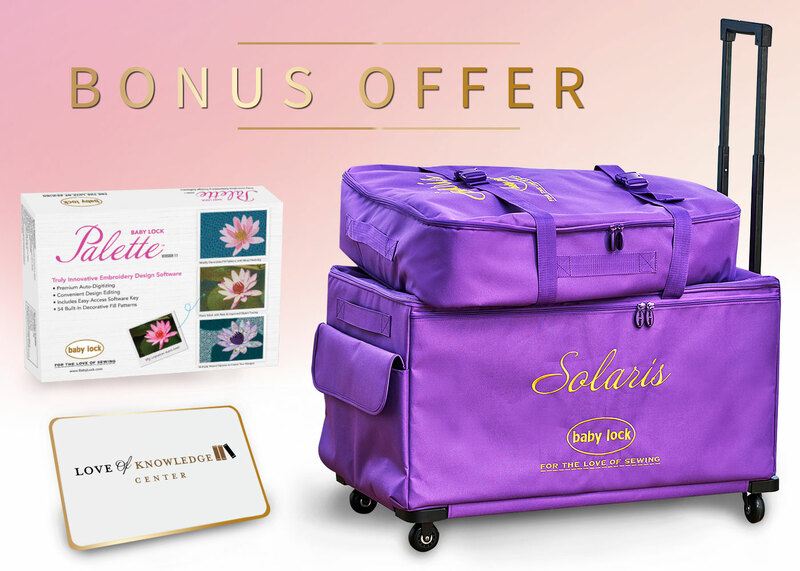 For a limited time when you purchase Solaris, you’ll receive an exclusive launch package that includes a 2 Year Love of Knowledge Membership, Solaris travel trolley and hi-tech Palette 11 Digitizing Software! 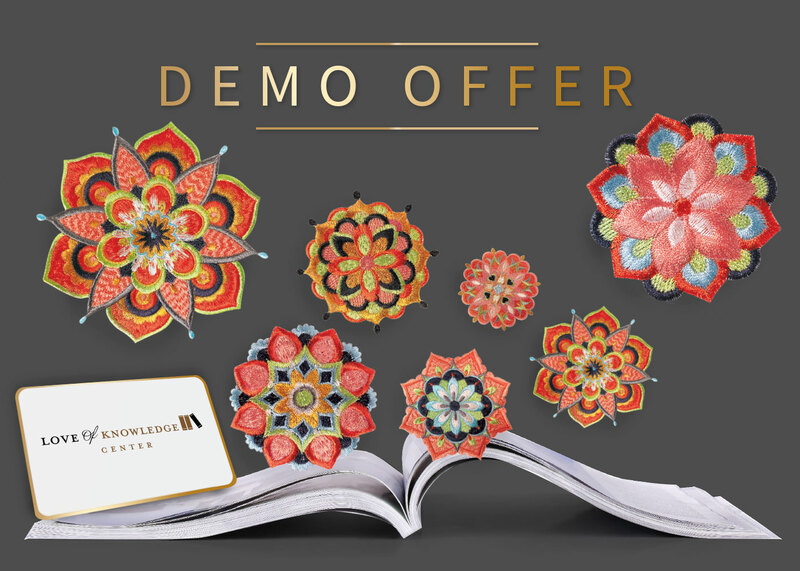 Get an Anita Goodesign + Baby Lock Infinite Possibilities Catalog packed with more than 150 beautifully-digitized designs on an included CD and a 60-Day Love of Knowledge trial (a $700 value) when you take a Solaris in-store demo. 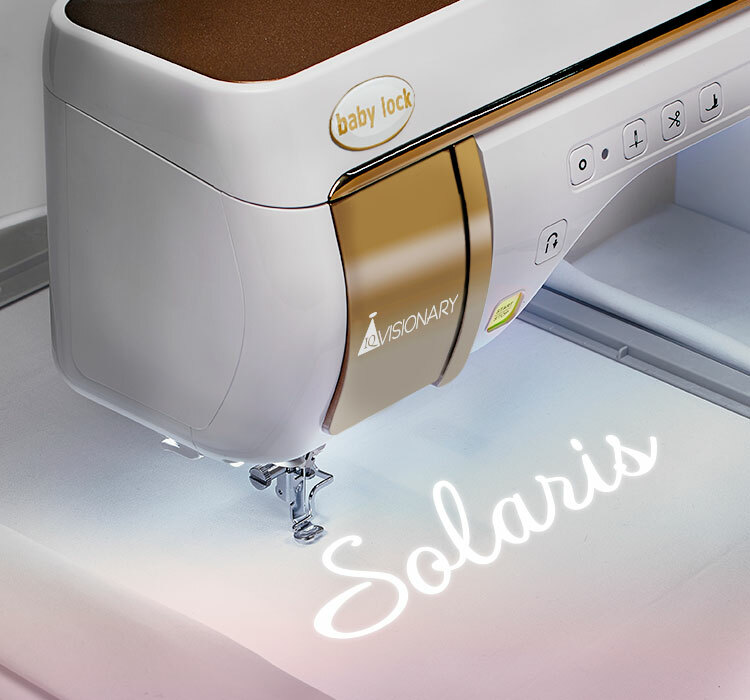 Click the button below to add the BABYLOCK SOLARIS SEWING & EMBROIDERY MACHINE (BLSA) to your wish list.